Upgrade your core training with nine of our favorite ab exercises! In this article we will discuss the best ab exercises for developing a stronger, more functional, and athletic set of abs for lifters, athletes, and everyday individuals. While most core training guides focus on basic ab exercises, we have developed a full breakdown of everything you need to know about core training, what muscle groups make up the core, and how you can effectively develop core strength and improve aesthetics and performance by integrating movements that develop the abdominals, obliques, and deeper muscles of the core. Why is core training important? Who can benefit from training the core/abs? Below is a breakdown of the individual muscles that make up the core, along with the specific purpose of each. The rectus abdominis is often the core muscle most people refer to when they say “abs”, as it visibly runs vertically up the front of the torso and is responsible for spinal flexion (sit-ups and leg raises, etc). This muscle group is often the one most targeted when people train core, and can be very resilient to fatigue in more advanced lifters and athletes. The obliques run diagonally (in both directions) along the sides of the torso, and are responsible for rotational force output and resisting rotational stress on the spine. Movements like throwing, chopping, running, and even less dynamic movements (squats) all require the obliques to stabilize the pelvis and spine. The transverse abdominis is a deeper muscle group that helps to stabilize the core and spinal structures. These muscles can be targeted by planks, holds, and other total-body movements that require overall control and stability of the torso (loaded carries, total-body strength lifts, etc). Developing a strong transverse abdominis can help increase overall core strength and functionality in most movements. While these are not often regarded as core muscles because we can’t see them in the mirror, strong spinal erectors are responsible for spinal extension and stability (lower back). Additionally, spinal erectors help to balance out the other core muscles to create symmetry and muscle balance throughout the core. Below are a few reasons to train core for certain types of athletes and populations. As discussed throughout this guide, a strong core can provide you with increased spinal stability, create tension and strength in loaded movements, and allow for maximal force output in most movements that require total body stability (squat, pulls, forms of human locomotion, athletics, etc). Strength athletes can benefit from training the core due to the abundance of muscular tissue needed to perform heavy, strength based lifts. Squats, presses, pulls, and other loaded movement all require spinal stability for safety and strength reasons. Muscles like the rectus abdominis and obliques are helpful at resisting rotation/flexion/extension forces on the spine and promote rigidity in movements. Lifters can perform the below exercises in accessory or primer blocks to reinforce development; however should also remember that the majority of core training is being integrated throughout training via doing total body lifts. Aside from the above reasons, general lifters can train core to further enhance aesthetics and general core strength and stability properties that come along with performing many of the movements below. Increased muscular endurance and strength of the core can translate into improved aesthetics (yes, proper nutrition is necessary), enhanced performance in some sports and athletics that require core strength (swimming, functional fitness, running, gymnastics, etc), and improved midline control and stability. Everyday individuals who may or may not have the most active lifestyles can benefit from training “core-specific movements’, however many of them should also integrate a wide array of training exercise to promote overall fitness and health. Typically, compound movement such as squats, presses, and other compound exercises can be regressed and taught to new lifers, making them a much more time efficient and beneficial movements to perform in limited training times than simply doing something like sit-ups or knee raises. It is important to note that beginners and everyday populations will benefit from doing most forms of fitness, and that core specific training has its place in these types of programs (often in correctives and primer segments). With that said, everyday populations should emphasize a fitness regimen that focuses on total body movements and compound exercises first, rather than zeroing in on single-point and highly specific body part training (for the sake of overall efficiency in training). Aging individuals and those who live a sedentary lifestyle may come into training with core instability, injuries, and other issues that will limit their ability to train some of the more advanced movements on this list. First, it is important to understand why they cannot (is it due to strength limitations, bodily control, pain, etc), and then determine the best route to develop core strength within those parameters. Movements like holds, planks, and Pallof presses are a good place to start as they allow a lifer to stabilize themselves fairly easy and do not require wide ranges of motion. Note, that many individuals will resort to performing sit-ups, which may or may not be the best for these types of individuals (for the lumbar spine). Be sure to read further below and check out the exercises and the specific guides for a fuller breakdown of the benefits and risks of each movement. Below are 9 (nine) of the best ab exercises for overall core development, strength, and even aesthetics. It is important to note that these core exercises are not just covering the basics, but as offering advanced progressions that should be mastered only after proper core stability and strength has been attained from foundational movements, which are noted below. The ab rollout can be done using a barbell, ab wheel, and/or exercise ball; all of which target the rectus abdominis and transverse abdominis. The combination of eccentric loading in the lengthening phase (roll out), isometric control in the dynamic plank, and concentric aspect of the roll makes this bodyweight exercise highly effective at building a stronger core. Below are three benefits of the ab rollout that coaches and athletes can expect to gain when adding the ab rollout into training programs. Increasing eccentric strength of the core is a great way to increase core stability and strengthen the core against hyperextension. Increasing eccentric strength also can enhance isometric and concentric muscle contractions of the core, furthering overall core strength. The abs are a muscle, just like the biceps and the quadriceps. To increase their visibility, a perfect combination of sound nutritional strategies and training muscle take place in order to burn body fat and increase muscle density. The eccentric loading of the ab wheel can increase overall muscle damage and ensuring hypertrophy, resulting in more visible abdominals (assuming you are burning body fat). While some exercises on this list train certain muscle groups of the core, the ab rollout is an effective movement for targeting the abdominals and the obliques at once. Below is a brief guide on how to perform the ab rollout. Step 1: Start by kneeling on a pad to cushion the knees, in a table top (quadruped) position. Step 2: With the hands on the wheel/barbell/ball, extend the hips towards the floor and allow the chest and hands to roll forward over the wheel/bar is it moves away from the body. Step 3: Work to control the core and resist spinal hyperextension throughout the roll out phase. The farther you roll out, the hard the movement will be. Step 4: When ready to return (roll in), engage the core and lats and pull yourself back to the original position. Take a look at out our Ab Rollout Exercise Guide for a more in-depth look at this challenging core exercise! The plank is a core strengthening exercise that targets the entire core and builds isometric coordination and strength. Improving this ability can translate to other movements such as squats, deadlifts, and loaded carries; all of which require isometric core stability under load. Below are three benefits of performing both weighted and bodyweight planks. Increased core stability via weighted planks is due to the enhanced isometric muscle coordination developed under load. This can have a wide application to most loaded movements that require a lifter to maintain rigidity in the spine and core for maximal strength development and/or injury prevention (such as squats, cleans, snatches, carries, pushing, etc). Bracing, also often called the Valsalva Maneuver, is a combination of breathing techniques and isometric muscle contractions. This is an essential aspect to lifting heavy weights and improving core strength under load. The weighted plank is a great exercise to train isometric strength and allow athletes to focus on breathing and bracing under load. A stronger core can help to resist spinal rotation and excessive flexion/hyperextension. The weighted plank places the spine and pelvis is an neutral position, under load, furthering a lifter’s understanding and muscle memory of what a proper “stacked” core position feels like under load. Below is a brief guide on how to perform the weighted plank. Step 1: Assume a plank position, with the hands or forearms on the floor. Step 2: The spine should be nearly parallel to the floor, with the belly button pulled in. Step 3: To perform the weighted plank, place a weight plate or other load on the middle to lower back, ad resist the back from collapsing towards the floor as you hold the position for time. Take a look at out our Plank Exercise Guide for a more in-depth look at this isometric core strengthening exercise! The hollow hold/rock is a dynamic core exercise that build isometric strength, anti-rotational strength, and enhances a lifter’s understanding and ability to create tension under load (of the midline). This exercise is an advanced progression of the plank. Below are three benefits of the hollow hold/rock that coaches and athletes can expect when integrating this dynamic isometric core exercise within training programs. Enhancing midline stability can increase anti-rotational strength and coordination that can help to resist leakages of force production and/or injury to the spine/joints under load. Additionally, increased miscline stability will enhance overall muscle and movement coordination for nearly every athletic and human movement pattern. 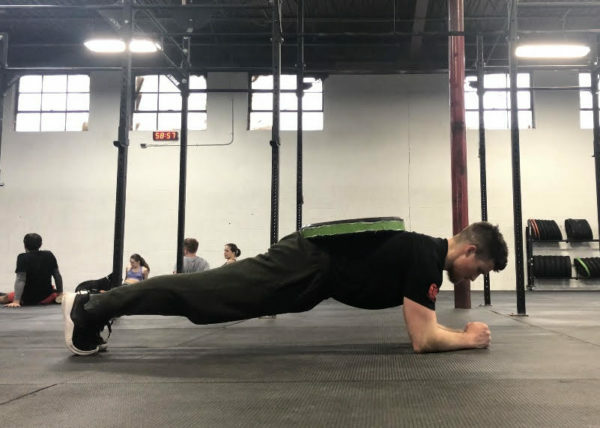 Like the plank, the hollow rock/hold can be done to increase core stability and isometric strength necessary for human movement and loaded weight training. In addition, improving isometric core stability can boost overall strength and enhance injury resilience. Proper midiline control and isometric coordination of the core muscles is key for most gymnastic and athletic movements. The hollow rock/hold, as well as some of the other exercises on this list, are key core strengthening exercises for stabilization in movements like handstands, muscle ups, holds, and ring training. Below is a brief guide on how to perform the hollow hold/rock. Step 1: Start in the supine position with arms extended overhead and the legs pressed together. Step 3: To perform the hollow rock, simply rock in this position, minimizing movement at the hip and shoulder joints. Take a look at out our Hollow Hold/Rock Exercise Guide for a more in-depth look at this dynamic plank exercise! 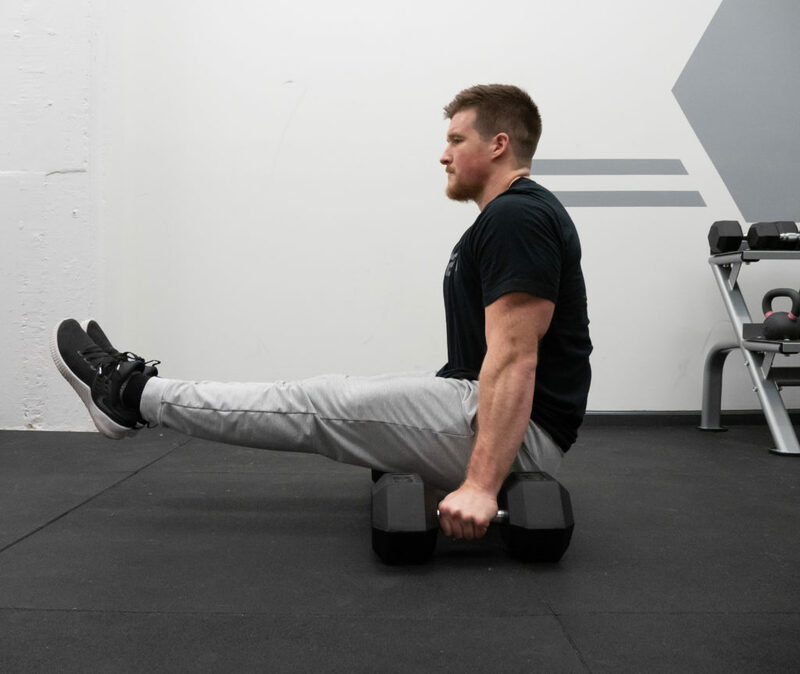 The Pallof press is an isometric exercise that can be done at a wide variety of angles and positions to increase core stability, antri-rotational strength, improve postural positioning, and prep more advanced lifting and athletic movements. Below are three benefits of the Pallof press that coaches and athletes can expect when integrating this movement into warm-up, priming, and corrective segments. This movements can be integrated within priming sequences to help prepare a lifer/athlete for a specific movement pattern. While it can build isometric strength and stability fairly easily and without much load, it can also be done using a wide array of angles as well. Increased anti-rotational strength can help neutralize any shearing forces on the spine and mitigate injury during higher intensity exercise due to spinal flexion/extension/lateral movement. The Pallof press can be used and manipulated to fit most needs of most coaches and invidals. The Pallof press can be used to increase overall core stability and postural awareness, both of which are necessary for loaded movements like squats, deadlifts, and overhead lifts. Additionally, the added core stability can help aid in athletic performance and tension development to further enhance force output. Below is a quick brief guide on how to perform the Pallof press. Step 1: Stand perpendicular to the band, so that it is stretched out and you are 90 degrees from the direction of the band. Step 2: While standing a few feet from the rack/wall, the band itself should be taunt, with the shoulder blades retracted and hands on the chest; with the body not falling forward. Step 3: While keeping the abs pulled in and chest up, reach the hands out in front of you, making sure to not let the hips move around and the shoulderblades pulled together. Take a look at out our Pallof Press Exercise Guide for a more in-depth look at this foundational core stability exercise! The L-Sit is a bodyweight isometric exercise that challenges the entire core. This isometric exercise can be used to progress athletes and lifters to more rigorous forms of core training to ultimately increase lean muscle mass and core strength necessary for sport and aesthetic goals. Below are three benefits of the L-sit that coaches and athletes can expect when integrating these into training programs. Like the plank and hollow hold/rock, the L-sit is an exercise that challenges midline stability at the highest level. Not only must the lifter resist gravity and rotational forces, they must be strong enough to hold their legs up at high angles in order to create the proper positioning. The L-sit can help to develop isometric strength or the core muscles to further abdominal development, similar to the plank and hollow hold. The L-sit can be trained to strengthen the core and help prepare lifters and gymnastic athletes for more rigours core strengthening and isometric exercise in gymnastics training. Below is a quick brief guide on how to perform the L-Sit. Step 1: With a vertical torso, externally rotate the shoulders so that the back is set and the elbows are straight. This is key as the upper body will bare the brunt of the load. Step 2: When ready, squeeze the legs together and point the toes, lifting the legs upwards to 90 degrees. Step 3: While in the L-sit, keep the tension in the middle and upper back while maintaining the strong L-sit. Take a look at out our L-Sit Exercise Guide for a more in-depth look at this advanced core strength exercise. The sit-up is a classic bodyweight exercise that can be done by a wide array of lifters and ability levels. This exercise can be done in most settings and isolated the rectus abdominal muscles. Below is a breakdown of the three benefits of sit-ups. This exercise can often be done in higher volumes since it is one of the more basic core exercises on this list. That said, this exercise can still develop muscular hypertrophy and endurance in most lifters. The sit-up, along with movements like the Pallof press and the plank, are sound foundational exercise to teach beginner lifters and to help them develop core strength for more advanced movements on this list. The sit-up requires little space and zero equipment, making it a good option for group training, vacation workouts, and/or minimal means workouts. Below is a quick brief guide on how to perform the Sit-Up. Step 1: Lie flat on the floor with your knees bent at 90 degrees, and the hand across the chest. Step 2: When ready, use your abdominal muscles to pull your torso upwards into the upright position. Step 3: Contract the core at the top, and slowly descend back down, repeating for reps.
Take a look at out our Sit-Up Exercise Guide for a more in-depth look at this timeless ab training classic! The hanging knee raise is a bodyweight exercise done from a hanging position, targeting the rectus abdominis, obliques, and hip flexors. This exercise can be used to further develop movements such as hanging leg raises and L-sits. Below are three benefits of the hanging knee raises that coaches and titles can expect when integrating the challenging bodyweight exercise within workouts. The hanging knee raise can be used to also establish greater midline stability and core strength, which can help increase a liters coordination and control in their hanging body weight and gymnastic movements. 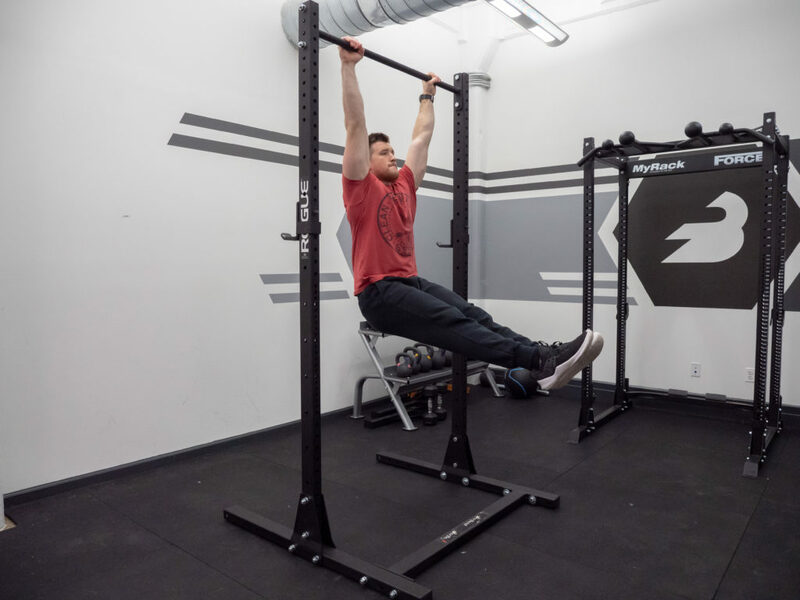 This exercise can often be done in higher volumes (may be limited by grip strength if hanging from a bar) making it a good option to build muscular endurance and hypertrophy. The hanging knee raise can be swapped for harder movements like the toes to bar, strict leg raise, and L-sit, as it requires a lifter to lift less of their body mass. This can be helpful for those who may want to progress towards these more advanced movement but need to develop more strength and stability first. Below is a quick brief guide on how to perform the hanging knee raise. Step 1: Hang from a bar with the grip slightly wider than shoulder width apart, and the shoulderblades pulled together. Step 2: With the legs pressed together, pull the knees up to the hip level or chest, without using momentum. Step 3: To minimize swinging, work to create tension in the core and upper back at all times. Take a look at out our Hanging Knee Raise Exercise Guide for a more in-depth look at this bodyweight core strength and ab endurance exercise! The medicine ball slam is an explosive core exercise that builds core strength, power, and stamina; at once. This exercise has a wide array of application to sporting movements and can be done using a variety of angles to further enhance muscular development. Below are three benefits of the medicine ball slam that can be expected when integrating this powerful and explosive core exercise ito training programs. Rotational training is key for the development of strong obliques, in addition to producing greater rotational strength and power (key for many sports). The medicine ball slam can be done in a vertical, lateral, or diagonal manner; all of which can help to increase core strength and power across a wider range of motion. Odds are that you are training abs and core so that you get the aesthetics to go along with the strength and functionality. The medicine ball slam combines core training with metabolic fitness to bring you a powerful combination for core development and cardiovascular fitness. Unlike most of the exercises on this list, the medicine ball slam is one that should be done with the utmost aggression and speed in order to elicit high amounts of force output and power. This can help to develop new muscle fibers and stimulate ones that may have laid dormant at slower contraction speed movements (like sit ups and/or raises). Below is a quick brief guide on how to perform the medicine ball slam. Step 1: Grab a ball (light or heavy) and stand it up, raising the ball overhead. Step 2: With the core tight and the midline in control, powerfully pull the ball and toes downwards, slamming the ball hard into the floor. Step 3: This is the downward slam variation, which can be done to build the rectus abdominis and obliques. You can take a look at the guide below to explore all slamming variations. Take a look at out our Medicine Ball Slam Exercise Guide for a more in-depth look at this explosive core exercise! The toes to bar is a bodyweight exercise that can be done both strict and in kipping forms, each offering benefits of core strength, midline control, and application of gymnastic movements. Below are three benefits of toes to bar (both strict and kipping) versions that can be expected when performing these for core development. 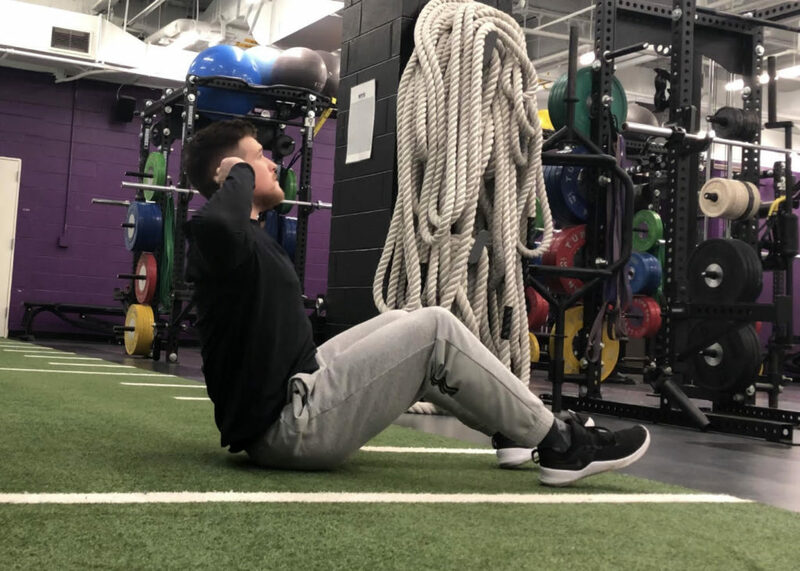 This advanced core exercise challenges the rectus abdominis, obliques, and hip flexors to a high degree, making it a good movement for hyopertrophy and strength. Establishing midline control is a must when performing both strict and kipping toes to bar, which can be helpful for more advanced bodyweight core and gymnastic movements. Aside from strengthening the core, the toes to bar can help to improve grip and lat (back) strength due to the lifter having to secure themselves to the bar for longer periods of time, which can also have application to body weight and gymnastic movements as well. Below is a quick brief guide on how to perform the toes to bar. Step 1: Grab a bar with a slightly wider than shoulder width, hanging so that the body is in the hollow position (legs together, core pulled in, and body hollow). Step 2: When ready, push yourself backwards away from the bar as you pull your knees/ankles upwards towards the bar. Step 3: As your toes meet the bar overhead, stay in line with the midline and lower the legs in the same path, and repeat. Take a look at out our Toes to Bar Exercise Guide for a more in-depth look at this bodyweight and gymnastics core exercise! Looking to take your ab training to the next level? Check out these other helpful core training articles for strength, power, and fitness athletes! Should You Train Core Daily?